The Houston Open will feature a bit of a weaker field as most of the Top PGA Tour players will be off practicing and gearing up for the Masters next week. 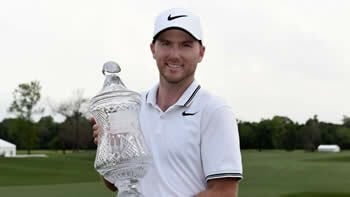 Nonetheless the tournament will go on and you still need to have expert picks for the Houston Open if you are playing fantasy golf or betting on golf. Played at the Golf Club of Houston this tournament has been around since 1946 and provides a similar layout to Augusta National which is why some will play it the week before - unfortunately, rarely does success in Houston translate to the Masters. The 2018 Houston Open has been known as the Shell Houston Open but is now looking for a new tournament sponsor. This tournament is the last chance for players to qualify for next week’s Masters Tournament. Some will use it as a tune up for Augusta and some will be playing to win and get that final invite. Be wary of players that are there to practice their game as they are more likely to either miss the cut tinkering on their game or if they play all four rounds they are still in for the practice as opposed to trying to win. The field, although weak will still have some notable players in it such as defending champ Russell Henley. Look for more tour rookies in the field which could be an advantage to you if you've been tracking how some of the young guys have played so far in 2018 on the PGA Tour. Regardless of the field, you can still play in a FREE Fantasy Golf Contest for the Houston Open. If you are new to DraftKings, make a 1st deposit or $5 or more using the links on this page and you will automatically get a FREE game ticket to play in a big money fantasy contest. If you can win that one…winning a Million Dollars next week should be a breeze! We are affiliate partners with DraftKings, read the footer of the page for more details. You can play a fantasy golf game for thel Houston Open but you will also want to reserve your place in the BIGGEST Fantasy Golf Contest for next week’s 2018 Masters Tournament. $20 can win you $1 Million and if you know your stuff, finishing in the money should be pretty easy. Last year’s Masters Fantasy Golf Contest sold out by Wednesday so you may want to sign up and then set your lineup after you’ve done your research. Don’t miss the DraftKings Fantasy Golf Millionaire Contest! We are affiliate partners with DraftKings, read the footer of the page for more details. Because it’s not a big PGA Tournament you may not be inclined to invest a large bankroll into the tournament. 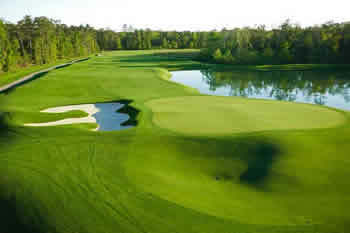 However, if you are already looking forward to next week’s Masters and want expert picks for Augusta then maybe this is the week to join Golfstats.com and test out their expert picks for the Houston Open. It may cost more than the free picks that everyone else offers but they do come with a track record of winning which is more than can be said for all those free expert picks that golf bloggers offer up.